Super Indie Karts from developer One Legged Seagull is now available on Linux in Early Access after the developer had a few people test it. It was originally funded on Kickstarter back in 2014 where it sadly missed the Linux stretch goal, although it didn't miss it by much at all so the developer promised they would do it anyway! 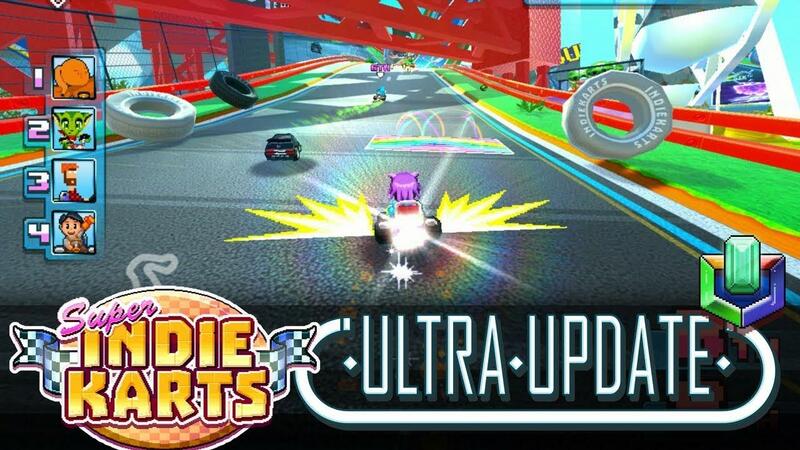 Super Indie Karts is a classic retro '90s style karting game with a collection of Indiegame themed race tracks in both the 16-bit Super style and the 64-bit low poly Ultra style. With Time Trials, Grand Prix, Splitscreen GP, Quick Race, and Battle Modes there's plenty of ways to tackle the tracks! It features racers from other well-known indie games like Freedom Planet, Teslagrad, Cross Code, Read Only Memories, Guacamelee and plenty more. As a big fan of such racing games, I approve of this. Looks like it could be a lot of fun, so I can't wait to dive in and give it a go at somepoint. This could make a change from dying in Dead Cells. Want! Looks like my next buy. I hope this to be light enough to play splitscreen multiplayer on a older AMD APU, like the one in the Atari new console. A lot of indie games are too heavy for modest systems. So it looks the same as super tux kart is it very different or is it the same. It has KDE mascot ? Been waiting for this one for a LONG TIME! Great to see it finally get to Linux.